New to Ford’s market-leading commercial vehicle range is the 2018 Fiesta Van, recently revealed at the Birmingham Commercial Vehicle Show in April of this year. 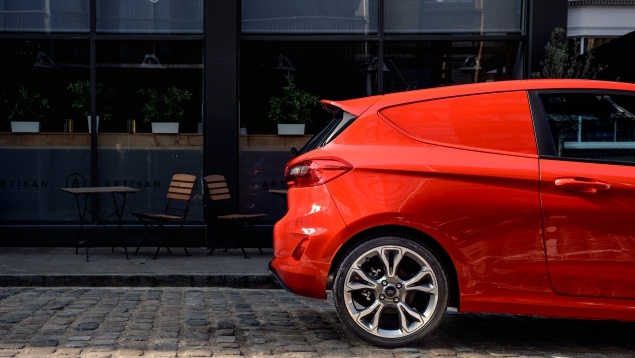 The all-new Fiesta Sport Van, inspired by the hit Ford Fiesta, combines style and compactivity with newly refined driver assistance and safety technologies for an improved driving experience. Setting it apart from other vans on the market is its range of stylish interior options, including full leather, coupled with a choice of exterior colours. If you’re a small business owner then the three-door van could be ideal for you, as it holds around 1.0 cubic metres of cargo and can carry up to 500 kg in weight. Alloy wheels can also be fitted, up to a maximum of 18 inches. 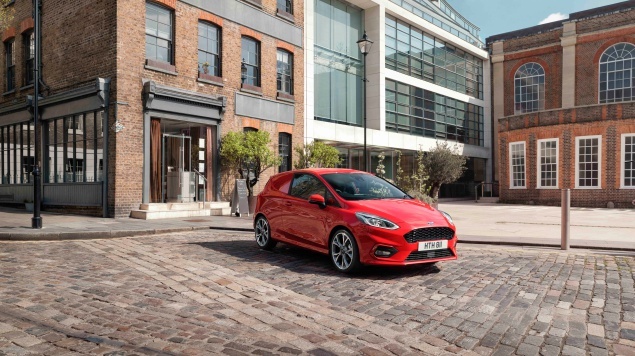 Both petrol and diesel options are available; the 1.0-litre EcoBoost contains 125ps, while the 1.5-litre, four-cylinder TDCI diesel engine comes with a choice of 84bhp or 118bhp. The Fiesta Van is one of two Ford commercial vehicles to contain FordPass Connect, a new on-board modem technology that, according to Ford, improves driving efficiency and convenience. 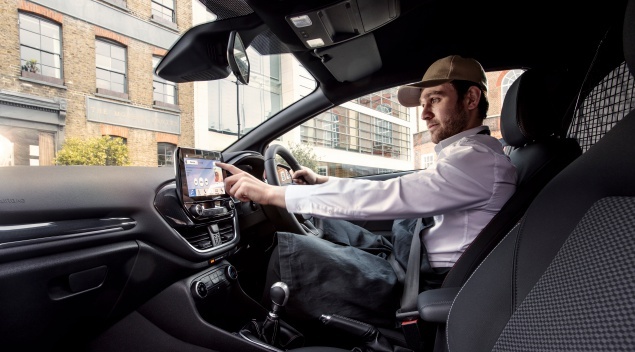 For those who’d rather listen to their own music than the radio, Apple CarPlay and Android Auto are available through the eight-inch touchscreen display. Some safety technology features included are adaptive cruise control, Ford’s Pre-Collision Assist, and a blind spot information system – extra handy as the rear side windows are blocked out. Hans Schep, the Ford Europe general manager of commercial vehicles, said: “Connected commercial vehicles will provide exciting new opportunities to create value for our customers, and what we are showing in Birmingham is just the beginning. The launch signals Ford’s return to the urban hatchback van market as a top-selling commercial vehicle brand for three years running.